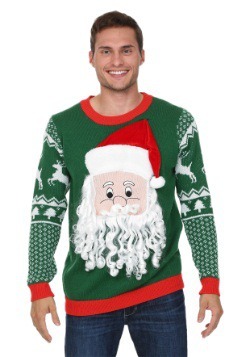 Your uncle loves to wear Christmas sweaters, and year after year he finds a new one that is louder, more garish, and even more doused with Christmas cheer than the one the year before. 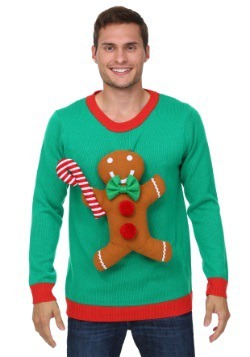 Have you always wanted to beat him at his own game? 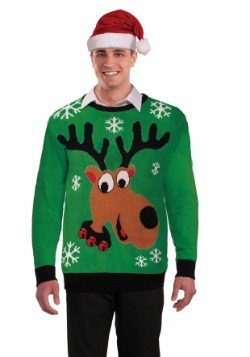 This is the year you do it because you found this Reindeer Head Ugly Christmas Sweater! 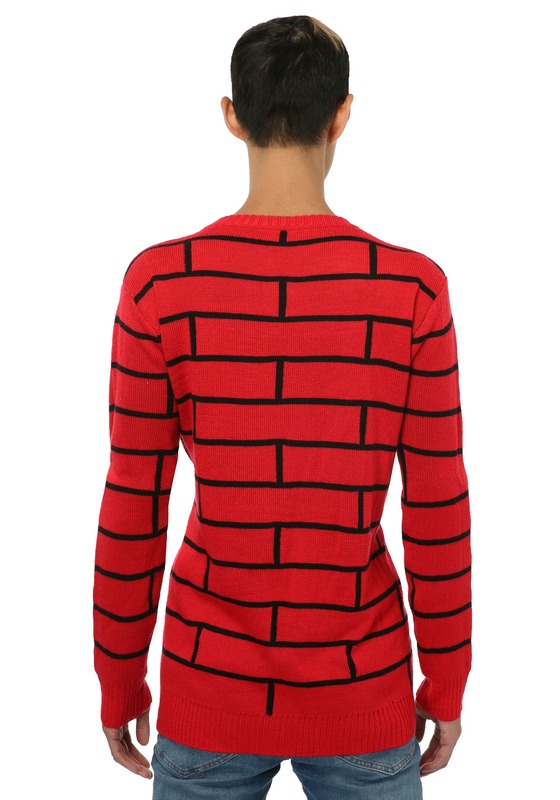 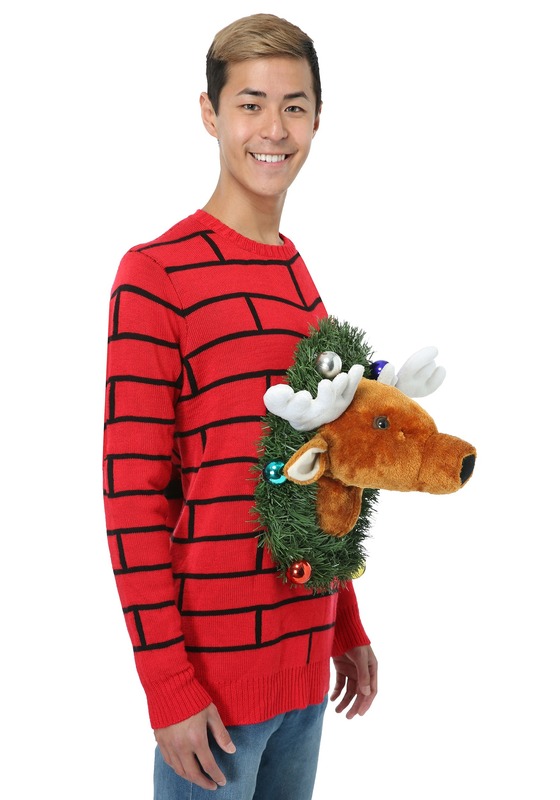 We challenge all other sweaters in the universe to take this one on... it actually transforms you into a brick wall with a reindeer head and wreath hanging on you. 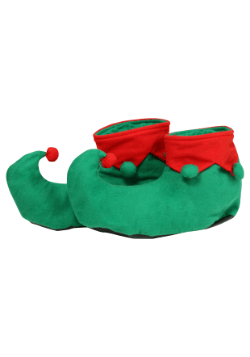 Beat that crazy Christmas uncle! 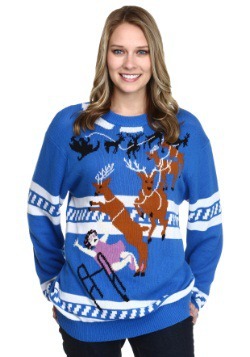 You'll be a legend at the holiday party, and you'll go down in history just like the reindeer on your chest. 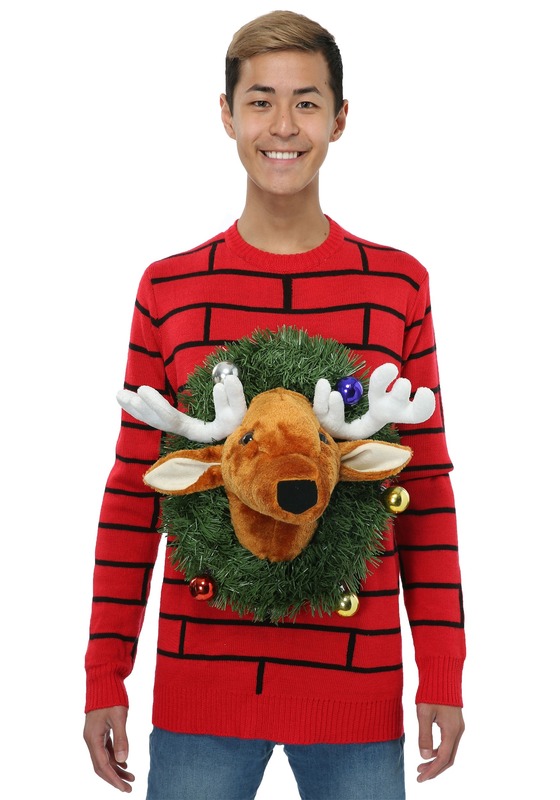 This sweater is a made-by-us exclusive, with a 100 percent acrylic knit sweater, real wreath with ornaments, and a cute plush reindeer head, it really is the ultimate ugly Christmas sweater. 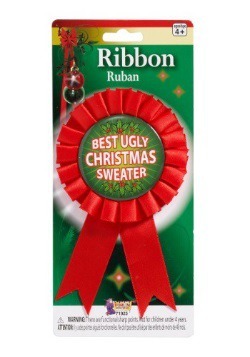 Get it to make sure that you beat your uncle or any other ugly sweater wearer at their own game!